Patrick is a third-generation Denver attorney, who has lived in the Denver area all his life. Married in 2001, Patrick and his wife have four children. While balancing his family and law practice, he enjoys dedicating to both his fullest commitment and abundant energy. He represents professionals, including doctors, nurses, attorneys, police officers, and accountants, as well as municipalities, businesses, insureds, and insurance companies in the context of litigation, general employment matters, and administrative proceedings. Patrick has successful adversary proceeding experience and has successfully prosecuted ERISA administrative appeals. He has been an active member of the Interprofessional Committee of the Colorado Bar Association. Patrick earned his J.D. from the University of Denver Sturm College of Law, and while there published “Spam Still Pays: The Failure of the CAN-SPAM Act of 2003 and Proposed Legal Solutions” with J. Soma and J. Hurd in the Harvard Journal on Legislation. 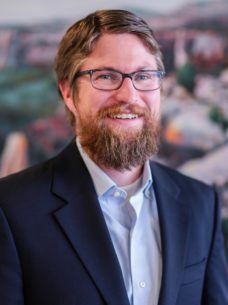 Patrick is licensed to practice law in Colorado and Wyoming, and his practice includes extensive litigation in both state and federal court, including admission to the United States District Court for the District of Colorado, the United States District Court of Wyoming, and the Tenth Circuit.